Only Fluence has deployed a large scale battery storage project on the island of Ireland with its Kilroot project. Image: Fluence. 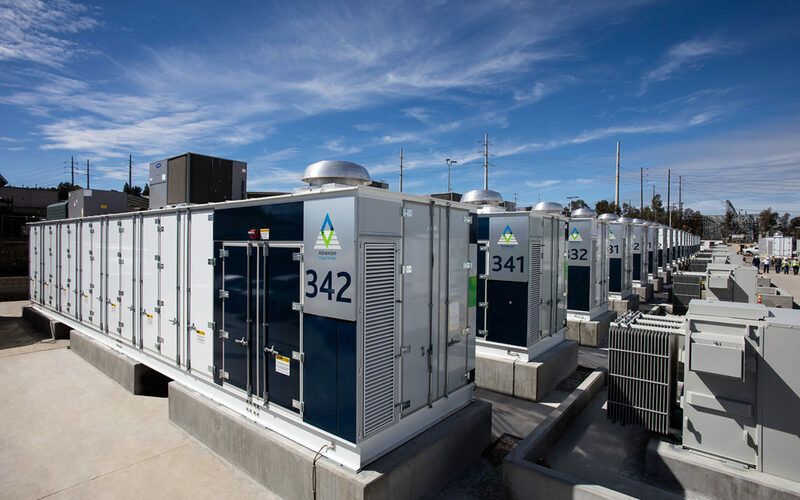 Ireland’s DS3 flexibility market will deploy the fastest reacting batteries in the world under an opportunity dubbed “Enhanced Frequency Response on steroids” by Everoze's partner for energy storage and flexibility. Felicity Jones was speaking this morning at Solar & Storage Live on a panel discussing opportunities in the Irish market, which is gearing up the first auctions under the DS3 and Renewable Energy Support Scheme (RESS) programmes. Under DS3, up to 140MW of capacity will be procured and have to respond within 150-300 milliseconds. While Eirgrid has not specified that battery storage will be the only technology procured, only this technology is expected to be able to deliver on the requirements of the scheme. This, Jones said, made DS3’s ancillary services are “really battery friendly”. Comparing it to the 200MW National Grid auction that took place in 2016 to procure sub-second response times, she added: “The way I would translate this to the GB market is that it’s a bit like EFR on steroids. “It’s effectively really fast frequency response that’s being procured, and when I say really fast I’m talking internationally world leading. You have to respond within 300 milliseconds, literally within the blink of an eye. Michael Donnelly of Erova Energy also believed that project budgets and available finance would hold sway over deployment. “The real thing is economics; we haven’t found a way to price batteries right for the Irish market but that’s something that will change as battery prices come down,” he said. Despite these concerns, confidence remains in the future of the Irish storage market as, in the words of Eoin Cassidy, partner at law firm Mason Hayes & Curren, “large scale Irish storage is going to be very interesting in the coming years because it’s essential to our market”. The question remains over how much, if any, will be co-located with solar projects which are currently being lined up for the first RESS auction which will be carried out next year with the goal of having projects operational in 2020. While this benefits solar over projects that take longer to build out, it also makes co-location with storage a risk for those unwilling to take a chance on the development timescales of a combined project. This, Jones said, is an integral challenge presented by the Irish market: “The big challenge that we see is the lack of a joined up approach between policy, grid connection access and DS3 because they’re all run by different actions. There’s been a lot of effort to align them but that’s been a battle in that timelines for one don’t match the timelines of another. While Brexit was said to be cause for concern in how the UK, and more importantly Northern Ireland’s, exit from the European Union will affect the recently launched I-SEM electricity market for the entire island of Ireland, “everybody is watching” to see how such hurdles could be overcome.